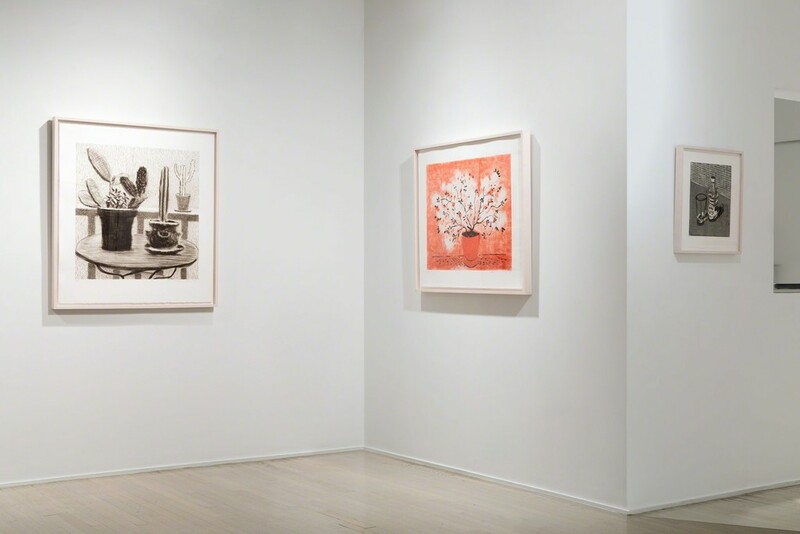 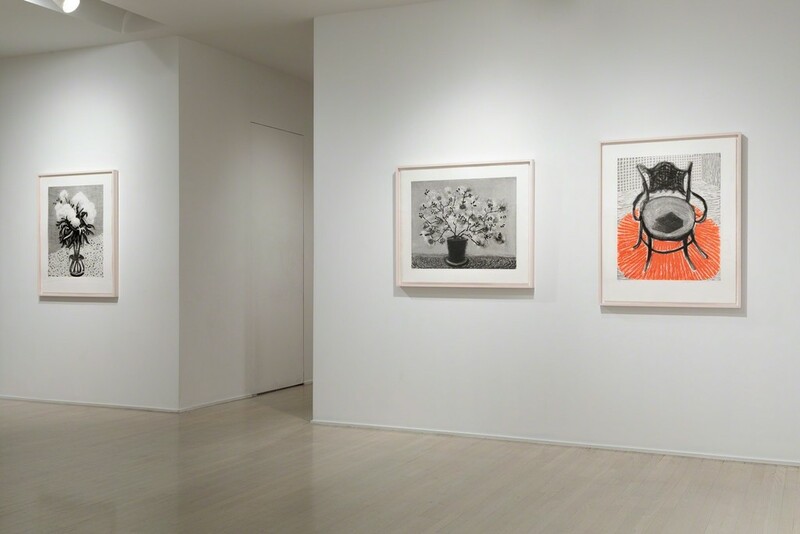 Pace Prints is pleased to present an exhibition of etchings by David Hockney at its 32 East 57th Street, 3rd floor, gallery. 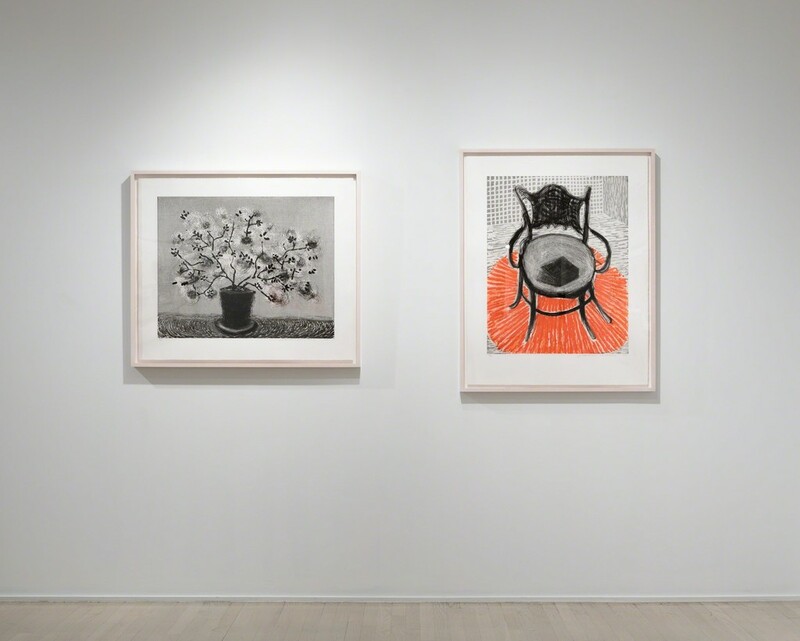 The exhibition will be on view October 31–December 8, 2018. 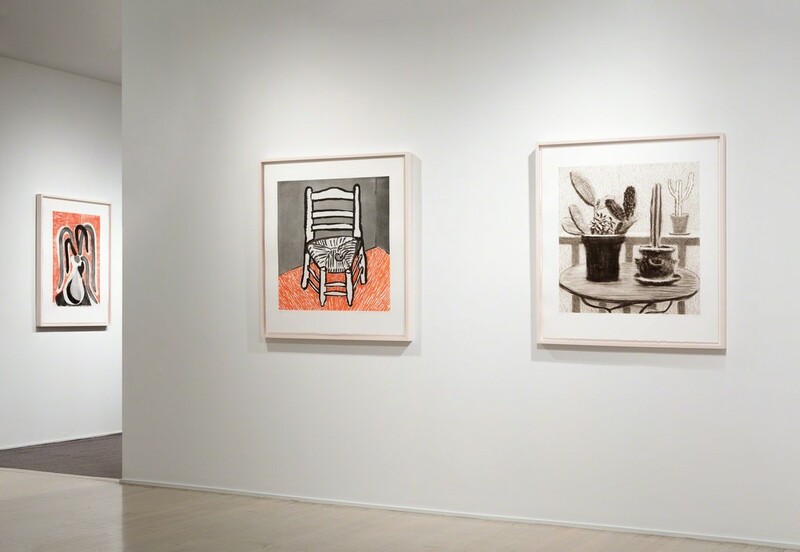 Twenty years ago, David Hockney created a series of etchings at his Los Angeles studio in collaboration with the master printer, Maurice Payne. 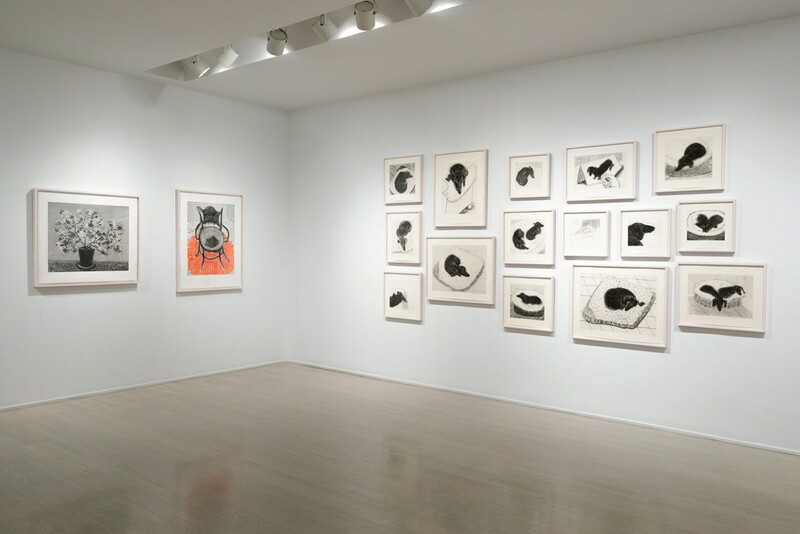 Pace Prints was privileged at that time to exhibit these very sensitive etchings. 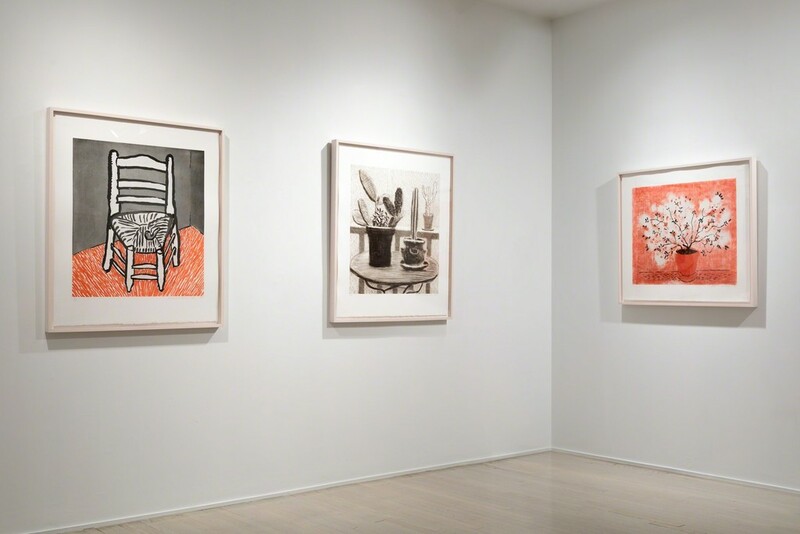 As part of its celebration of its 50 Years as a print publisher and dealer, the Hockey archives agreed to make available for this exhibition a limited number of these prints that had remained in the possession of the Hockney archives for the past 20 years. 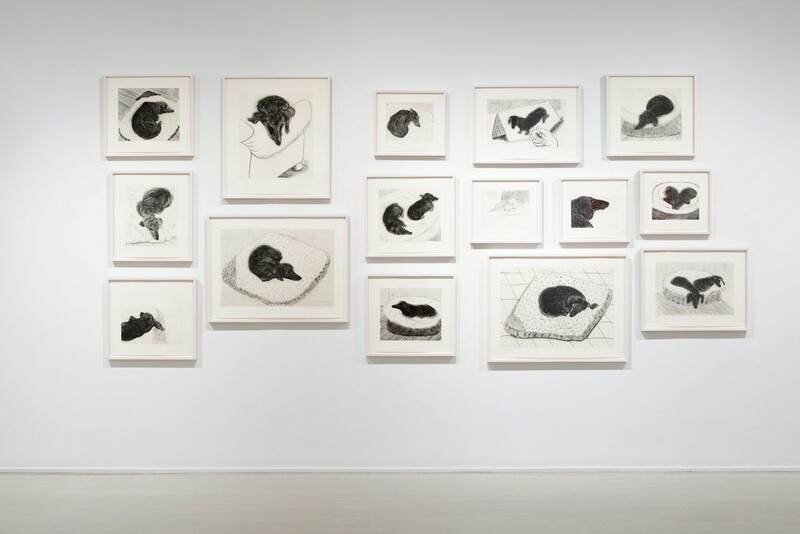 The centerpiece of the exhibition will be Dog Wall, 1998, comprising 15 black and white etchings. 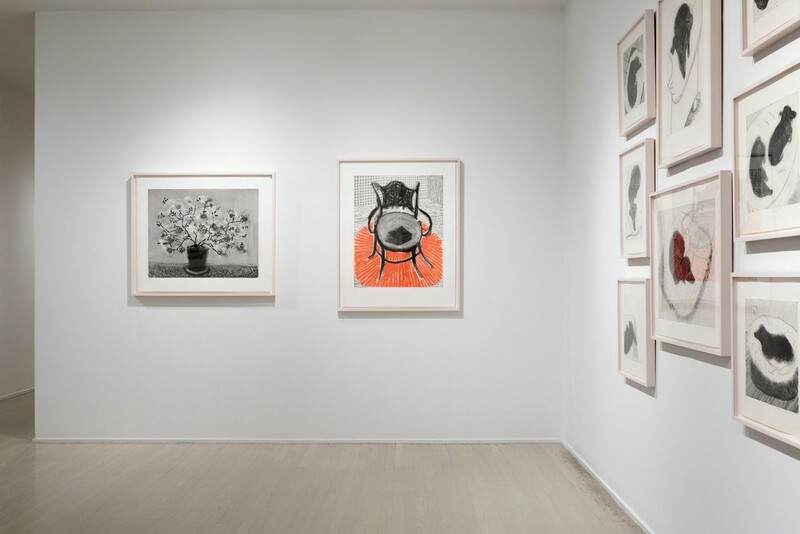 The individual prints vary in scale and are an impressive and dynamic suite of images. In addition to Dog Wall, several additional Hockney images will be on exhibition including the black and white etchings, Cacti on Terrace, Peonies in a Glass Vase, Black Wire Plant, Wooden Stool with Book, and Steel Stool with Newspaper and the two-color etchings, Van Gogh Chair (White), Chair with Book on Red Carpet, Homemade Etching, and Red Wire Plant. 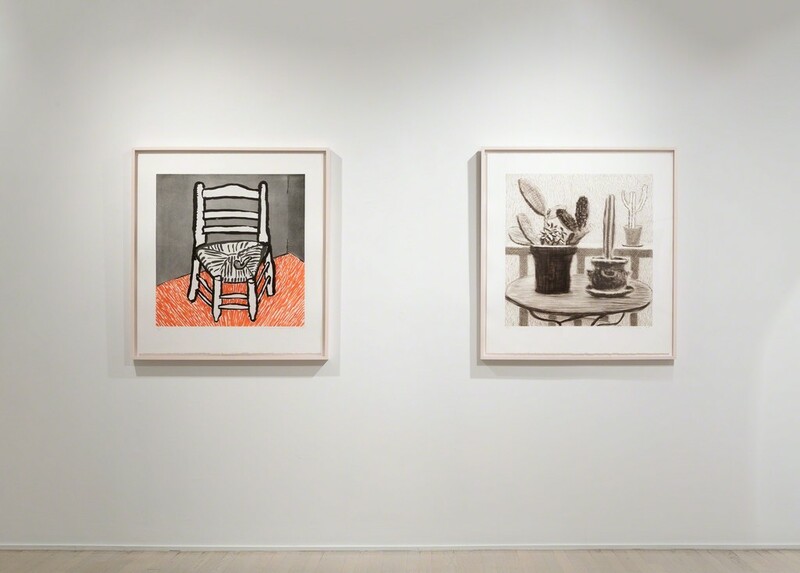 This exhibition will be an exciting recreation of the one that took place in this gallery twenty years ago and once again be able to offer these extraordinary examples of Hockney’s draftsmanship and dynamic imagery.